As businesses develop and deploy apps at a breathtaking pace, concerns about trust are growing even faster. While businesses need to keep developing innovative apps, they also need to protect application data and maintain customer trust. Join three industry thought leaders in the Salesforce Studios as they discuss how to deliver trusted apps that comply with industry regulations and internal governance policies. 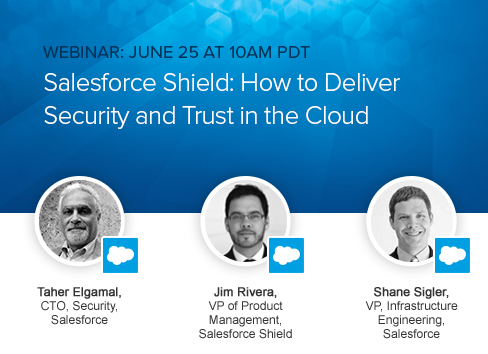 Plus you’ll get a first look at Salesforce Shield, the latest innovation in security and compliance from the Salesforce App Cloud.